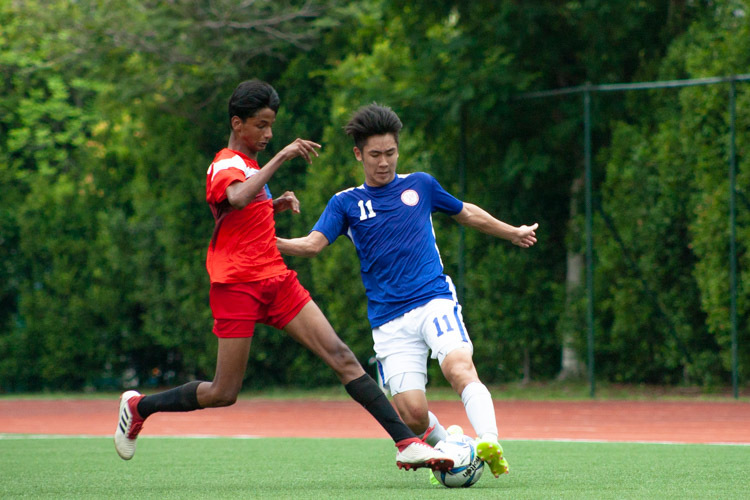 Story by Iman Hashim/Red Sports, with additional reporting by Erwin Wong. 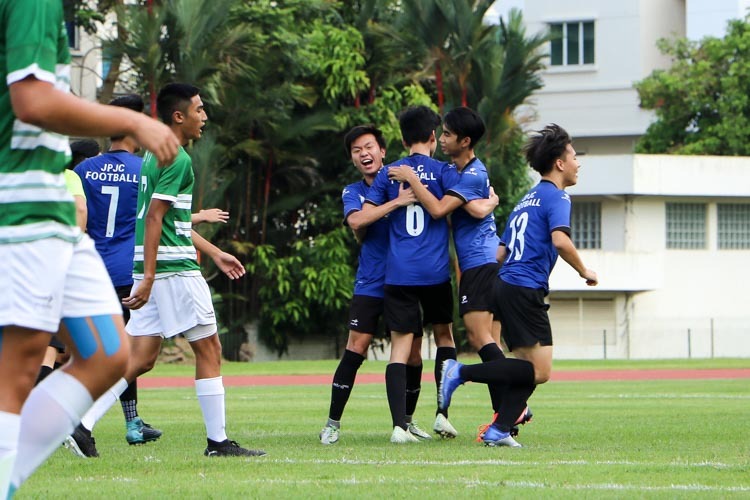 Photos by Cheah Wenqi and Jerald Ang/Red Sports. National Stadium, Friday, April 28, 2017 — The last time Anglo-Chinese School (Independent) won a relay gold at the National Schools Track and Field Championships was three years ago, in the C Division boys’ 4 by 400 metres. 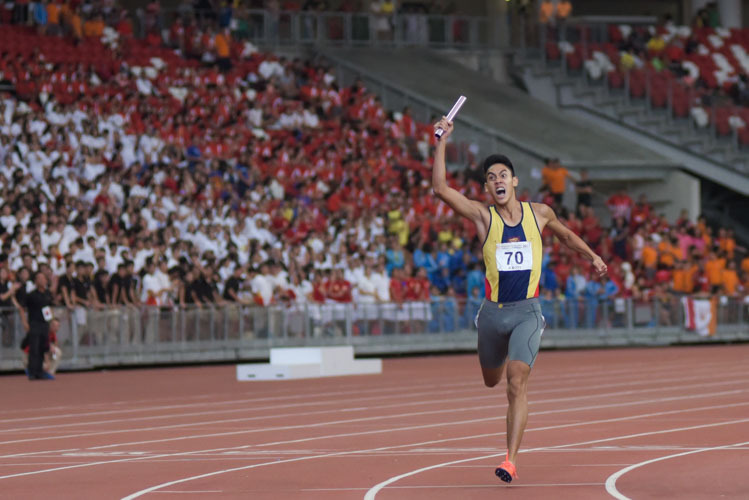 Just like it was then, Joshua Lim anchored ACS(I) to a 4x400m relay gold again, this time in the A Division. The ACS(I) quartet of Ryan Lee, Oliver Lim, Peter Koh and Joshua Lim stopped the clock at 3 minutes 27.6 seconds. 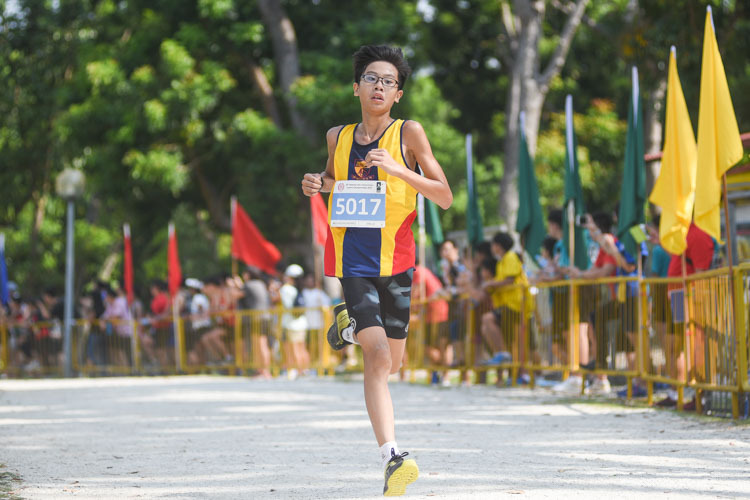 The win gave ACS(I) only its second gold this year – the other being Samuel Lim’s in the C boys’ 200m – and also ACS(I)’s first ever A Division relay gold. Facing a couple of injury setbacks prior to the championships, Joshua could only express relief for the victory. David Tameeris, double silver medallist last year in the B boys’ 100m and 200m, was slated to compete in the century sprint and long jump this year – but suffered a torn meniscus just a few days before the meet began. He was a key figure when ACS(I) won the 4x400m at last month’s SPH Schools Relay Championships. To compound the injury situation, Oliver sustained a broken thumb on his right hand – causing him to withdraw from the individual 400m and 800m. Thankfully, he recovered from surgery in time for the relay final. 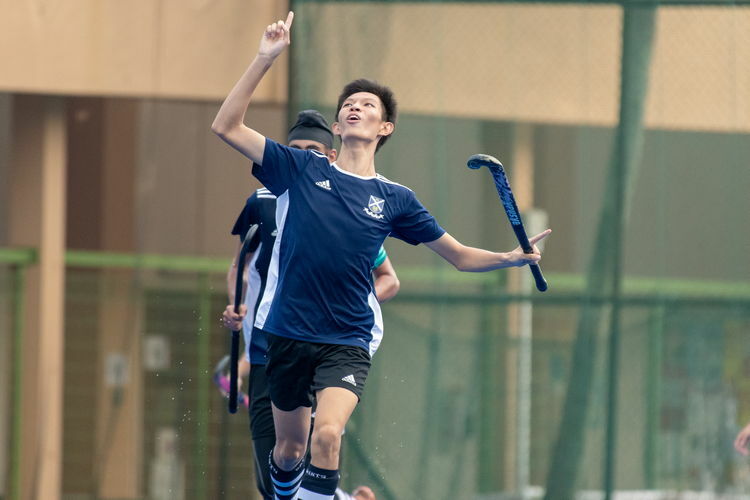 With a brace wrapped around from palm to forearm, Oliver blazed through on the second leg for ACS(I)’s gold-winning run. Based on the event’s recent history, the race saw an unconventional top three, with St. Andrew’s Junior College (SAJC) claiming the silver in 3:28.82 and Victoria Junior College (VJC) the bronze in 3:31.12. 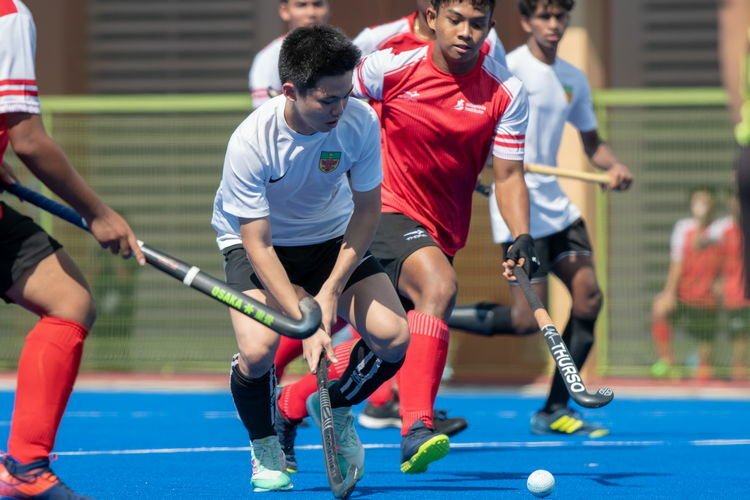 It meant that traditional powerhouses Raffles Institution (RI) and Hwa Chong Institution (HCI) were both denied of the podium, finishing fourth and fifth respectively. The last time both RI and HCI finished outside the top three in the A boys’ 4x400m was eight years ago. Coincidentally, it also happened to be the last time VJC ended up on the podium in this event. Even prior to this final, VJC were not fancied for a medal – qualifying only sixth-fastest from the heats. But with a change of two runners for the final, they altered the script. 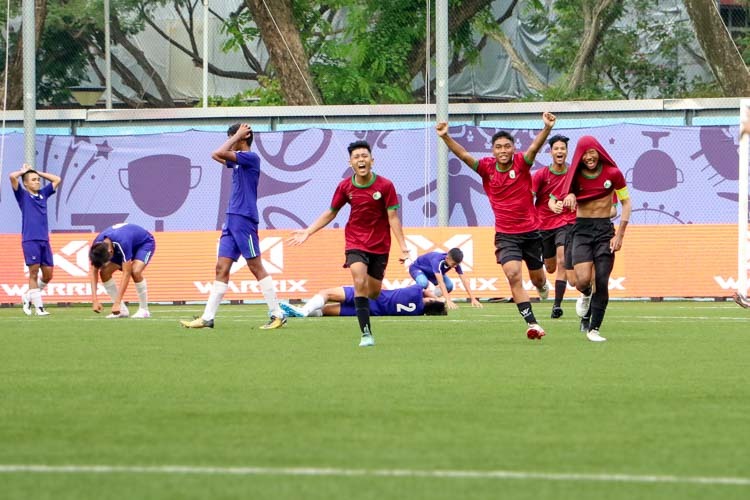 VJC were in the lead by the end of the second leg, aided by Syed Hussein Aljunied’s sub-50s split. The first-year VJC student, who had won the 1500m final barely two hours earlier to add to his cross country and 5000m titles, expressed immense satisfaction in clinching a medal for his team. The VJC quartet was made up of Hussein, jumper Gerald Beh, 800m runner Hemanth Srinivas, and 100m-200m sprinter Alexander Singh. Meanwhile, it is SAJC’s second straight podium finish in this event, going one better from last year’s bronze. 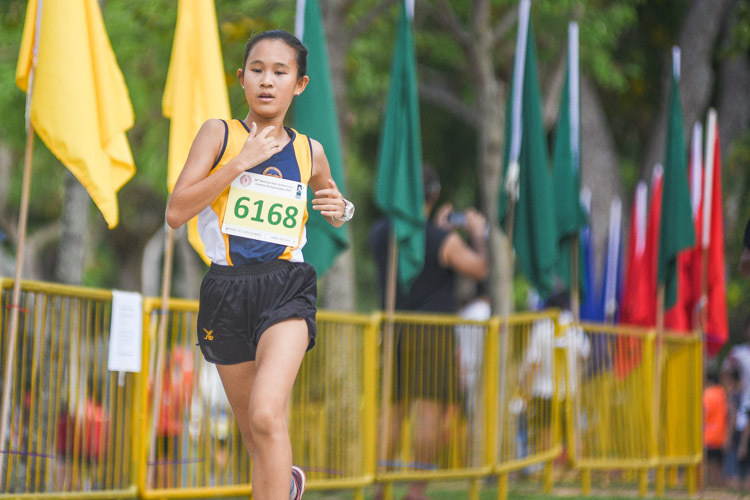 Before last year, SAJC’s last relay medal came in 1997. 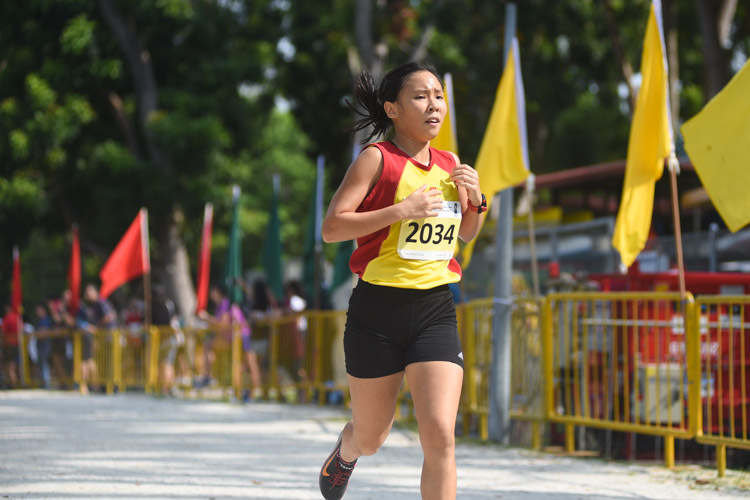 Following sister Grace Shani’s lead – who earlier brought Raffles Girls’ School from fifth to second in the B girls’ 4x400m – SAJC anchor Dinesh Hulbert stormed through the last leg to clinch silver for his team, after receiving the baton in fourth. 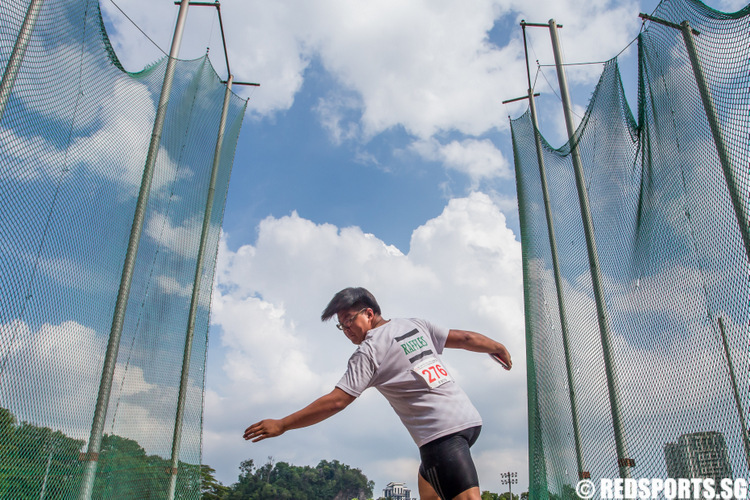 “In the end, we were happy with the result because it was a PB and a position better from last year,” added Luke, whose other relay teammates were Dillon Lim and Sheldon Ow on the first and second leg respectively. Despite missing out on the podium in the meet’s last race, HCI and RI had done enough to top the overall A boys’ divisional rankings in first and second respectively. 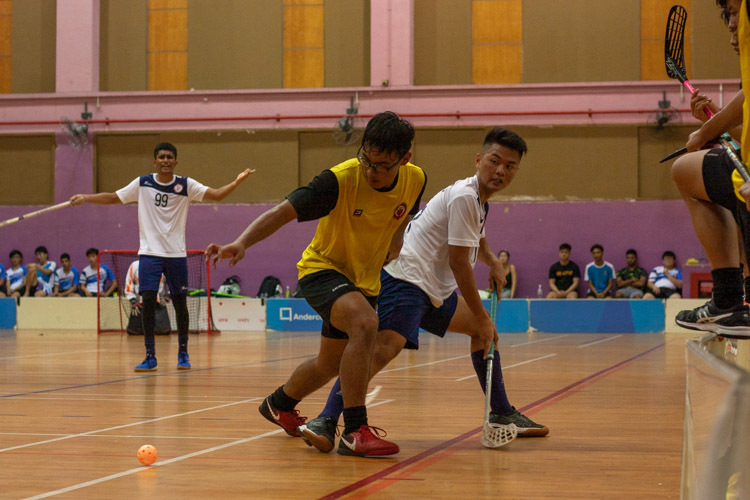 HCI’s title adds to three other overall trophies they had secured in the boys’ B and C Divisions, as well as the A girls’. 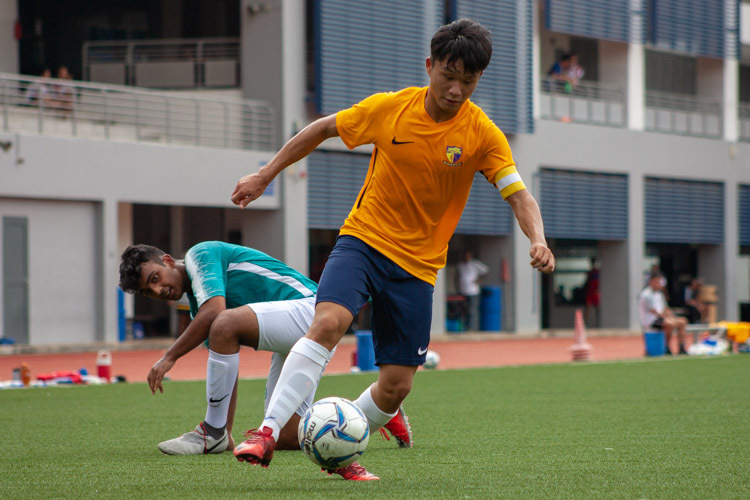 VJC and ACS(I) finished third and fourth in the A boys’ standings, with SAJC seventh.